I went to Wildwood this weekend with my boyfriend and our first stop was Wildwood Bagel. Don't let the name fool you. This place has a great lunch menu. 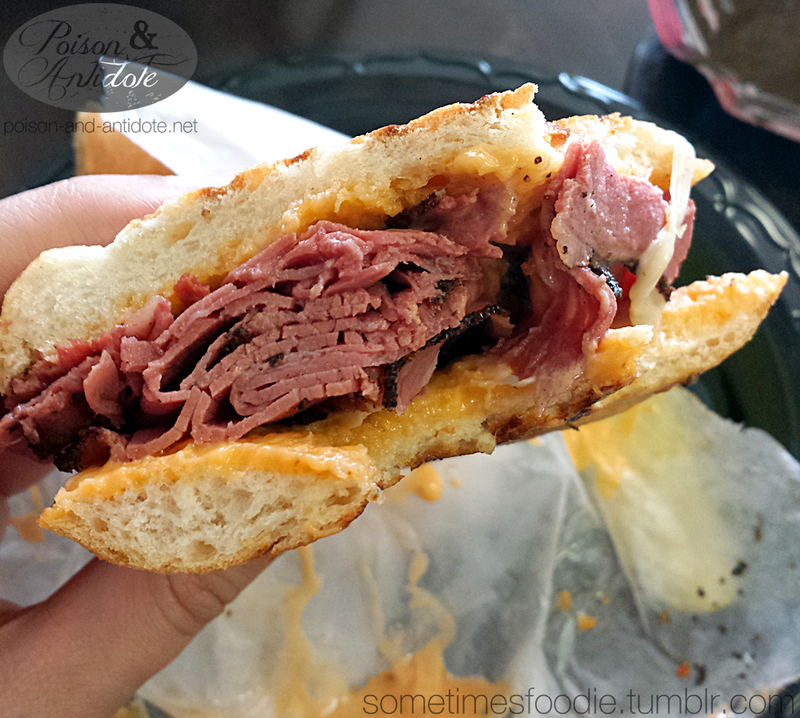 In fact, I reviewed a panini from Wildwood Bagel before. Check out this link to read my review of the Honey Mustard Chicken panini. I was really tempted to get the same panini I ordered last year, but I wanted to try something new. My boyfriend suggested we each pick one and share. Both sandwiches are served on ciabatta bread with a bag of chips and a pickle spear. The Honey Mustard panini is described as grilled chicken breast, honey-Dijon mustard, apple sauce, bacon, and aged provolone cheese. Thankfully the corned beef panini made up for the dry chicken one. The corned beef panini is described as corned beef, Swiss cheese, and thousand island dressing. 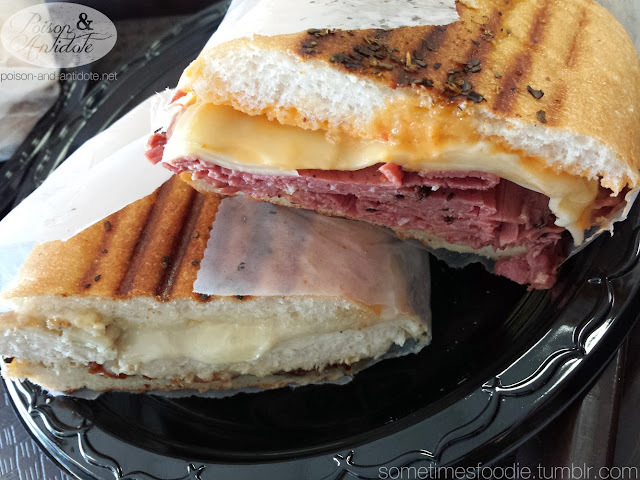 I wasn't sure that I would like this panini, but it was wonderful. The corned beef was salty, but moist, and it complimented the sweet dressing very nicely. 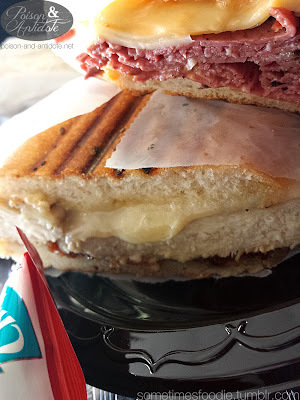 Personally I could barely taste the Swiss, there was just so much beef, but that didn't take away from the overall panini-experience. 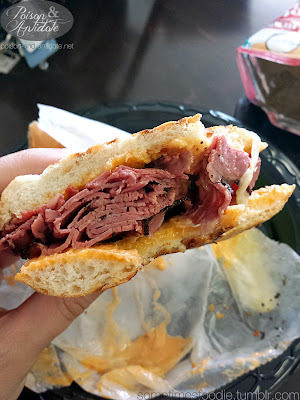 I really like Wildwood Bagel, and I loved the corned beef panini, but how will it taste the next time I order it?